Asian Forum for Human Rights and Development (FORUM-ASIA) received information regarding threats, harassment, intimidation, vilification and incitement to violence against Sri Lankan human rights defenders in connection with their views on accountability issues in Sri Lanka. These threats are part of a hate campaign directed against human rights defenders who have engaged with the 19th regular session of the UN Human Rights Council (Council) and supported the recent adoption of the Council resolution on “promoting reconciliation and accountability in Sri Lanka” (A/HRC/19/L.2). The resolution urges the Sri Lankan government to implement the recommendations of the Lessons Learnt and Reconciliation Commission (LLRC) and probe alleged abuses of international humanitarian law at the end of the war with the Liberation Tigers of Tamil Elam (LTTE). 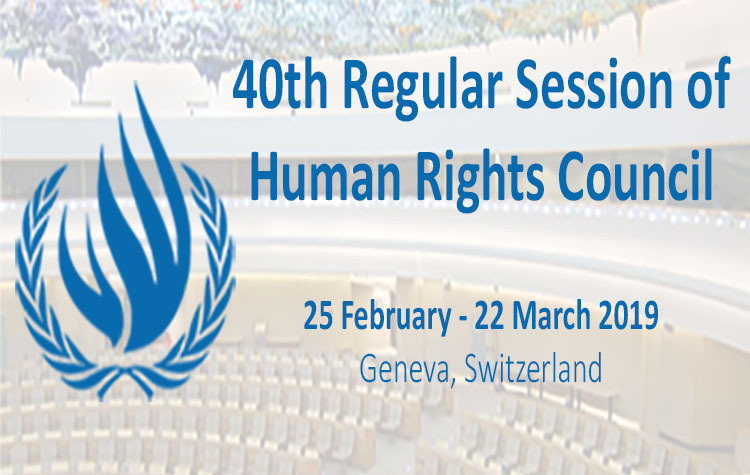 Human rights defenders present at the Council in Geneva and repeatedly identified, Dr. Paikiasothy Saravanamuttu, Dr. Nimalka Fernando, Ms. Sunila Abeysekera and Mr. Sunanda Deshapriya, are particularly targeted for their support of the resolution. They have been depicted as traitors and accused of supporting the LTTE as well as spreading lies about the human rights situation in Sri Lanka, with the view to undermine the legitimacy of their work. Furthermore, Media Minister Keheliya Rambukwella insinuated that the defenders present at the Council “betrayed the motherland for dollars after enjoying free education and health services,” and that “they are worse than the foreign elements”. The present series of accusations started in January 2012 and have been spread through State-controlled TV and radio stations and appear in pro-government print and online news in Sri Lanka. The continuous daily coverage, which provides names and photographs of the defenders, contains thinly-veiled threats of retaliation which has only compounded the climate of fear under which defenders work in the country and has had a chilling effect as comments to online news items by the general public have clearly incited violence. One comment to an article questioned whether there was anyone willing to set fire to Ms. Sunila Abeysekera’s home. Another article suggests that in a country like Iran these “kinds of bastards would be stoned in public”. The adoption of the Council’s resolution on 22 March 2012 has further intensified the hate campaign against supporters of the resolution. On 23 March 2012, speaking at a protest against the UN resolution on Sri Lanka, Minister of Public Relations Mervyn Silva named Dr. Paikiasothy Saravanamuttu, Dr. Nimalka Fernando and Mr. Sunanda Deshapriya as traitors. He threatened to “break their limbs” in public if they dare to set foot in the country. The Minister also claimed responsibility for the eventual exile of journalist and free press activist Mr. Poddala Jayantha, who left Sri Lanka in 2009 after being abducted and severely beaten up. He stated that President Mahinda Rajapaksa would not take any action against him as “even if a tsunami flowed from Sigiriya, no tsunami would flow against him from Rajapaksa”. On 23 March 2012, the High Commissioner for Human Rights, Ms. Navi Pillay warned that there must be no reprisals against Sri Lankan human rights defenders. She noted with concern the unacceptable level of threats, harassment and intimidation directed at Sri Lankan activists who had travelled to Geneva to engage in the debate, including by members of the Sri Lankan government delegation. During the plenary sessions of Council as well as in parallel events, members of Sri Lanka’s delegation carrying diplomatic UN identity cards were seen photographing at close range Dr. Paikiasothy Saravanamuttu, Ms. Nimalka Fernando, Ms. Sunila Abeysekera and Mr. Sunanda Deshapriya and harassing them verbally. In a statement released by Dr. Paikiasothy Saravanamuttu, Ms. Nimalka Fernando and Ms. Sunila Abeysekera on 21 March 2012, they expressed that as human rights defenders they will remain committed to their ideals and goals to defeat impunity in Sri Lanka and to build strong system of justice and accountability for human rights violations. Thus, it is the government of Sri Lanka’s duty to ensure protection of these human rights defenders including those engaging with inter-governmental processes, instead of putting their lives in danger. FORUM-ASIA is closely monitoring the situation of human rights defenders who have engaged with the UNHRC, particularly those who supported the UN resolution on Sri Lanka. We encourage fellow human rights defenders to express their concern by sending a copy of your letters to the officials below, to the Sri Lankan Embassy in your country and to FORUM-ASIA. Please click here to download the alert.